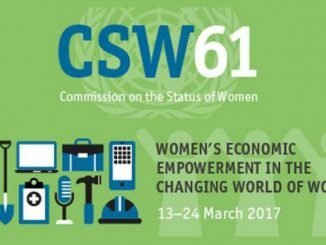 The 61st Session of the CSW (CSW61) begins today at the United Nations in New York, against a backdrop of much political tension around immigration issues, refugee rights and other human rights concerns set in motion by a Trump presidency. As part of launching its first public event, FAR organized its first panel discussion on peace and security right before CSW61, entitled, “Women’s Struggles in the Middle East.” The discussion was led by two of FAR’s steering committee members—Hibaaq Osman from Somalia and Fatima Outaleb from Morocco, both leaders of Karama, an organization that works to end all forms of violence against women in the Arab region, and strengthen their rights; it was moderated by Sharon Bhagwan Rolls, from FemLink Pacific, Fiji. 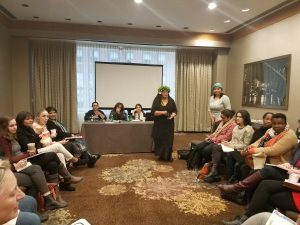 With the CSW’s priority theme this year as women’s economic empowerment in the changing world of work, the panel highighted how women’s economic rights cannot be realized without peace and security. 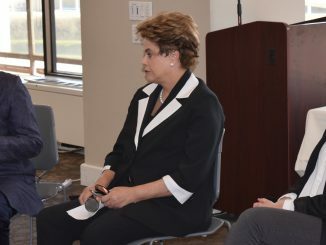 Both Hibaaq and Fatima explained that civil society organizations in the United States and Europe need to advocate for peace and security measures that go beyond the surface and deal with the root causes of war and instability, particularly focusing on denouncing weapon’s trade. 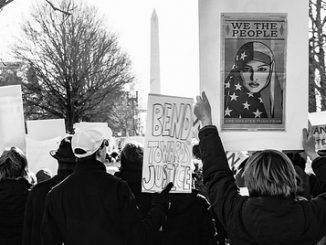 Security Resolution 1325 (SR 1325), a UN mechanism on women, peace and security, has the potential to create and sustain peace, yet it is too often underutilized or poorly executed. Overall, the occurrence of conflict should not be the primary indicator of peace and security. Despite this, SR 1325 reporting occurs in conflict countries and not within those with a direct hand in creating the conflict or supplying arms, which creates a massive gap in accountability. This method of prioritizing is short-sighted. For example, SR 1325 emphasizes the protection of women as a component of peace, not just during times of war, but this is rarely the reality. Overall, the occurrence of conflict should not be the primary indicator of peace and security. Despite this, SR 1325 reporting occurs in conflict countries and not within those with a direct hand in creating the conflict or supplying arms. Overall, the occurrence of conflict should not be the primary indicator of peace and security. Despite this, SR 1325 reporting occurs in conflict countries and not within those with a direct hand in creating the conflict or supplying arms, which creates a massive gap in accountability. 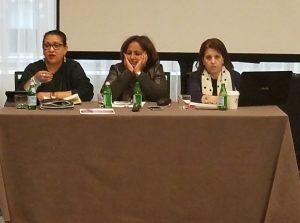 This public event was also an opportunity to introduce the current steering committee members of FAR, who had gathered in NY prior to the CSW for FAR’s Steering Committee meeting.